What says coastal more than driftwood? An exquisite natural element for your exceptional coastal home. 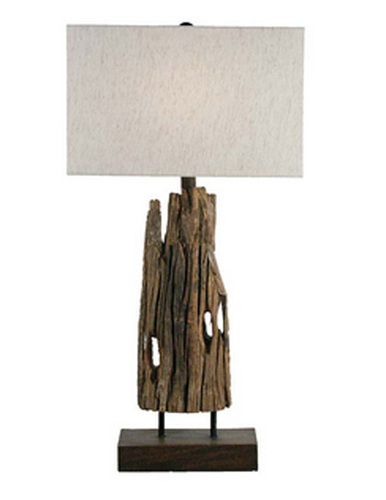 A stunning piece of reclaimed driftwood is the base for this beautiful Reclaimed Driftwood Table Lamp, topped off by a naturally designed shade that complements the clean lines of this beauty. Pieces may vary in content and color. The lamp measures 18"L x 10"W x 31"H.
Note: This product is reclaimed and not guaranteed to look exactly like the photo. Wood Finishes are often purposely distressed and not guaranteed to be a perfect match. Variations in color, texture and shading are not considered a defect.